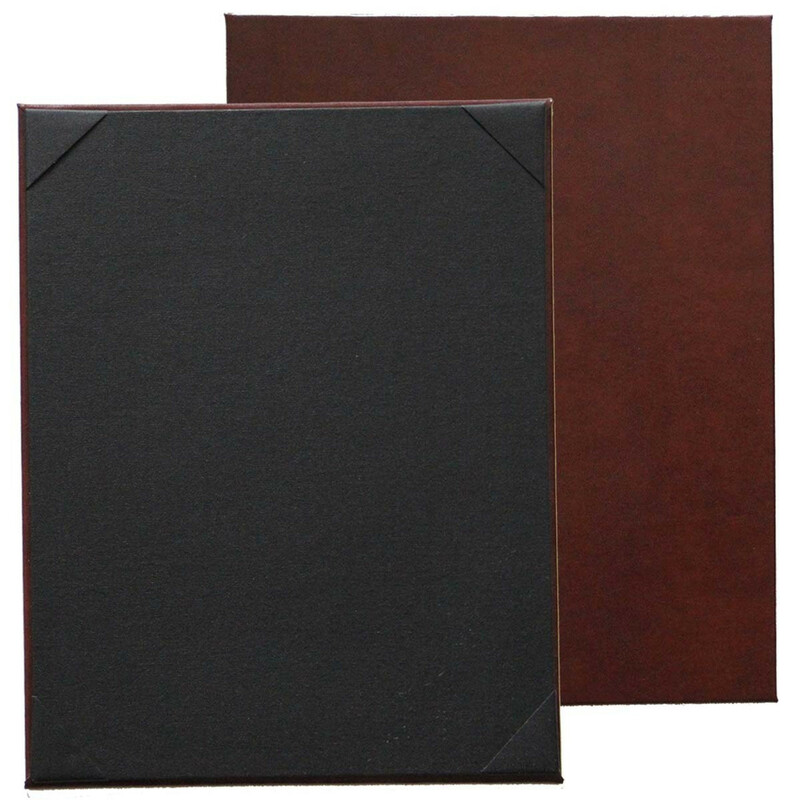 Bonded Leather Menu Boards are constructed using authentic bonded leather material with choice of interior panel color and material. Choice of album style corners or top and bottom horizontal strips to hold menu pages. May be padded or unpadded.